Originally published on Renew Economy. Construction of the world’s largest single-axis tracking solar PV plants – the 206 MW Mount Signal Solar farm in southeast California – has been completed and is ready to generate enough electricity to power 72,000 households in San Diego and surrounds. 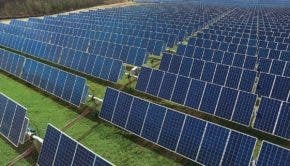 Based in Virginia (US), Silver Ridge Power (formerly AES Solar) is one of the world’s largest photovoltaic owner-operators, with a stake in 51 utility-scale PV plants totalling around 522MW in operation or under construction in seven different countries around the world.